Now that the day of my 63rd birthday has passed, I would like to thank all those who spent kind words for me. On Facebook, I mainly received happy birthdays, but in private I received many words of appreciation from friends, devotees and disciples. 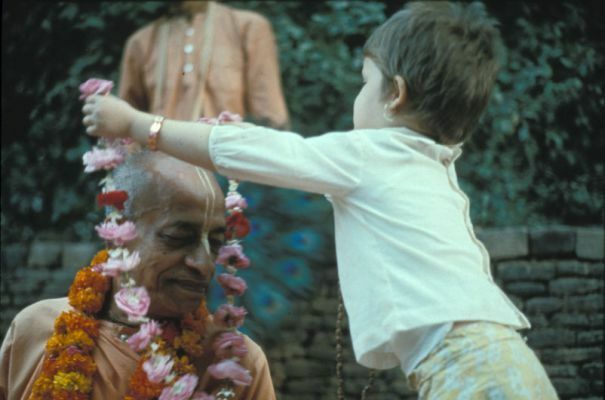 It is obvious that none of those words can be referred to me as a person but to my spiritual Master Srila Prabhupada. In fact I would not have been able to say anything interesting, nor to do anything relevant in my life if His Divine Grace had not arrived in my life. His Divine Grace has opened the eyes of all those who have the desire to open them and, in a perfect interpretation of the feeling of Sri Nityananda Prabhu, has spread the greatest thing, Radha-Krishna Prema of Vrindavana. There’s no more wonderful thing, so how can I repay it? Certainly it is not possible. Or maybe something that can be done there, at least to show gratitude. he looked at me. He was not telling that just to me, he was telling everyone. But the fact that he said that phrase by looking at me made me become convinced that it was the instruction of the spiritual Master for my life. And when Gurudeva gives a life mission one must take it with the utmost seriousness. All the glories to the Vaisnavas!